I was really excited about this one as I love asian soup like dishes as they are so warming and have such a bang of flavour. I have only ever had chow mein that is a sauce base rather than some liquid so I was looking forward to giving this a go. This was a really easy weeknight meal and was nice to have a recipe build for two. I was a little disappointed with the result, maybe I am just used to making my own noodle soups at home, but I felt that the stock was quite bland. The other ingredients worked really well together and made up for the stock. Put a large pan of water on to boil. Peel and finely slice the ginger and garlic. Finely slice the chilli. 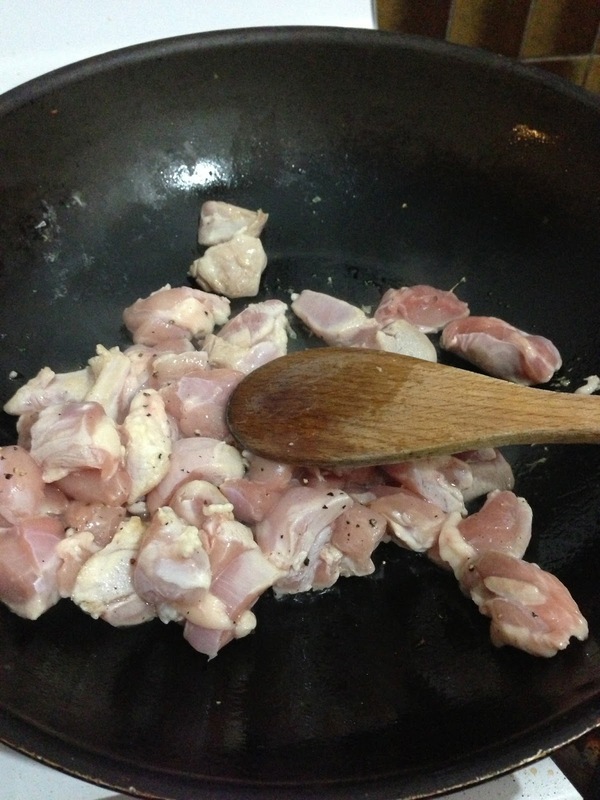 Slice the chicken into finger-sized strips and lightly season with salt and pepper. Cut the ends off your spring onions and finely slice. Pick the coriander leaves and pout to one side, and finely chop the coriander stalks. Halve the bok choi lengthways. If using mushrooms, either tear into pieces or leave whole. Preheat a wok or large frypan on a high heat and once it's very, very hot add a good lug of groundnut oil and swirl it around. Stir in the chicken strips and cook for a couple of minutes, until the chicken browns slightly. Add the ginger, garlic, chilli, coriander stalks, mushrooms and half the spring onins. Stir fry for 30 seconds, keeling everything moving round the wok quickly. Add your noodles and bok choi to the boiling water and cook for 2 to 3 minutes, no longer. Meanwhile, add the cornflour, water chestnuts and their water to the wok and give it another good shake to make sure nothing sticks to the bottom. Remove from the heat and stir in 2 tablespoons of soy sauce. Halve the lime, squeeze the juice of one half into the pan and mix well. Drain the noodles and bok choi, with a little of the cooking water to loosen if necessary, and mix well. Have a taste and season with more soy if needed. Use tongs to divide everything between two bowls or plates, or to lift on to one large serving platter. Spoon any juices over the top and sprinkle with the rest of the spring onions and the coriander leaves. Serve with lime wedges. Changes Made: We only had some rice noodles rather than egg noodles, which would have been better I think. Results: A little disappointing, the sauce/liquid was a little bland but overall an easy weeknight meal. Next Time: I would add more to the liquid to make it more of a stock; chicken stock, soy, more chilli, garlic etc. I convince my friend to help me to cook this one and we did it perfectly. 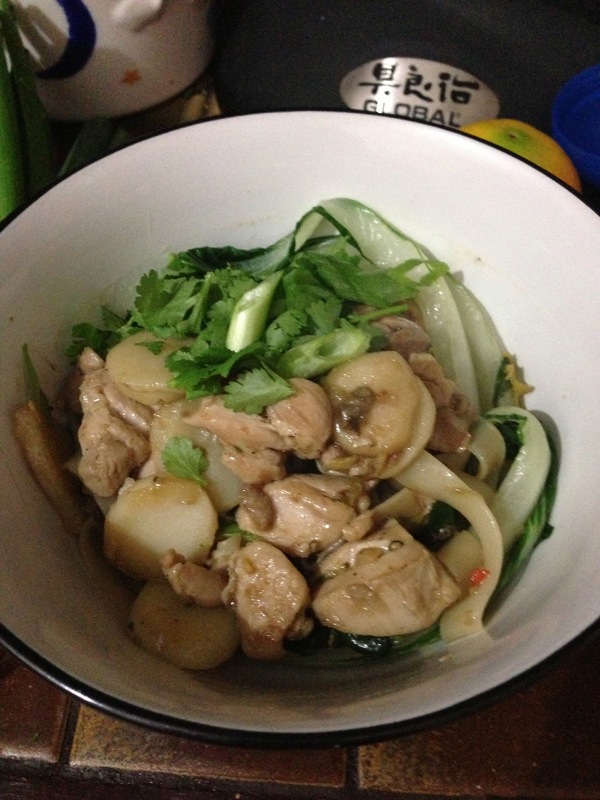 This recipe is truly delicious and very different for all the chicken chow I ate before. It is easy to prepare and healthy food, my family really likes this one. Can you post stir fry sauce recipe? Thank you very much.